Clusters of skin pigment cells create dark spots commonly called moles. Most people have up to 45 moles on their bodies, and most are benign. However, sometimes moles may be an indication of cancer, making it imperative to have routine check-ups with Dr. Timothy Gardner at Dermatology Consultants of Gloucester in Gloucester, Virginia. Dr. Gardner is an expert at mole evaluation and can make sure your moles are not cancerous. Schedule an appointment today at the office or book your consultation online. A type of skin cell called a melanocyte produces the natural pigment melanin, which gives skin its color. Melanocytes can grow in clusters, producing an excess of pigment in a small clump, which results in a dark spot called a mole -- or a nevus, to use the medical term. Moles are usually brown in color, round, and small, less than one-fourth of an inch, although size may vary. However, color can be red, pink, blue, black, or tan. Moles may be flat or raised and may surround a hair follicle, which may produce hair of a different color or thickness compared to other body hair in the area. Moles rarely become cancerous, though they resemble other pigmented spots that may develop into cancer. Therefore, monitoring any dark spots on the skin, moles included, is an important part of skin health. The mnemonic ABCDE helps with mole evaluation. Normal moles are usually round or oval, so spots that are oddly-shaped may be suspicious. The outline of a mole is usually smooth, so watch for irregular and uneven borders. A change in color may indicate a change in the mole’s normal state. If you experience a new growth that exceeds one-fourth of an inch, Dr. Gardner needs to inspect it as soon as possible. Normal moles typically maintain the same size and shape over time, so changes in shape, size, color, or height may be a warning, particularly if a mole turns black. If you experience any of the symptoms of an abnormal mole, make an appointment with Dr. Gardner so he can make sure skin cancer or another condition isn’t affecting your health. Regular moles don’t require treatment, except for cosmetic purposes. If Dr. Gardner suspects a mole is abnormal, it may be evaluated using a method called dermoscopy to inspect it noninvasively. A small sample of tissue, called a biopsy, may be taken and examined to identify cancerous skin conditions. Based on the results of the exam and tests, Dr. Gardner may recommend complete removal. Common methods are excision, which typically requires stitches, and surgical shaving, which can usually heal without stitches. 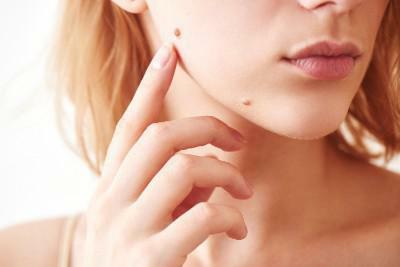 To have your moles checked, contact Dermatology Consultants of Gloucester. Book an appointment over the phone or online.